Warren Dorn (white suit) Mayor Pasadena. 205: 1 - Prime Minister U Nu. 2 - Paul G. Hoffman. 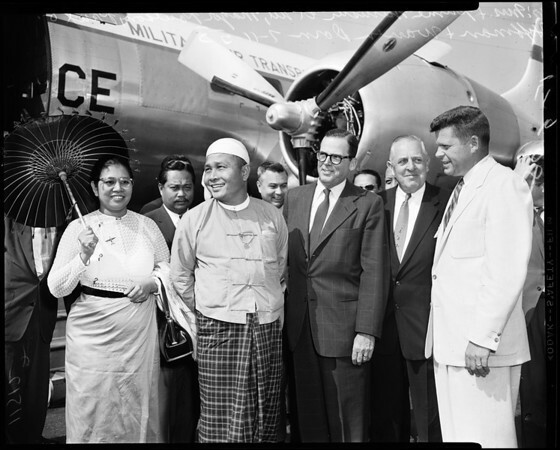 3 - James Barrington, Burma's ambassador to U.S. 209: L to R - Prime Minister U Nu and wife U Nu. 207: Mrs. U Nu and Prime Minister U Nu. No name on man in back."